[. . .] Thus, the hedge is different for the market maker and investor. But again if the market maker were to hedge the credit swap, then it would need to go long the bond. Moreover, the market maker borrows money in the funding markets at Libor and uses those funds in order to purchase the corporate bond that pays Libor + A basis points. The hedge, however, is paying the market maker a net cash flow of A basis points but again if the reference asset does not default, then at the termination of the swap the market maker will let everything go the hedge at no net cost and if the reference asset defaults, then the market maker right away unwinds the hedge. Thus, delivering the bond to the investor in exchange for the par amount, and pay back its borrowed funding with the principal. This completely hedges the market maker's risk in the credit swaps. However, if the same reasoning is applied on the investor where he hedge the credit swap, then short the bond is required. Furthermore, the investor borrows the bond in the repo-markets, where in order for him to borrow the bond, he lends the face value of the bond to the repo-market, which will be a sub-Libor rate. Let's suppose the investor lends the par value of the bond at Libor Y basis points in exchange for borrowing the bond where the bond lender then keeps the bond's coupon payments. Thus, for two reasons the value Y may be relatively large. Firstly, the investor is making a collateralized loan in which the bond is collateral against the loan, so the borrower expects a low borrowing rate. Secondly, the market for shorting the credit risky bond is inefficient and the value of Y may be between from 20 to 150 basis points. The bond is then sold by the investor in the debt markets and pays Libor + X basis points to the bond buyer. This hedge costs the investor a net cash flow of X + Y basis points and completely hedges the investor's risk in the credit swap. One can observe that the hedges are not symmetric as the market maker is receiving X basis points from his hedge while on the other hand the investor is paying X + Y basis points from his hedge. Thus, the hedges reveal the price of the credit swap up to a range and leave the market with a spread of approximately Y basis points that cannot be arbitraged away. However, where exactly the price of the credit swap falls in the range of X to X + Y depends on the counter parties and their motivations. Furthermore, the counter parties to credit swaps enter into customized, off-balance sheet transaction, which has certain intangible advantages over the cash markets such that the market makers or commercial bank lenders look for credit protection on a certain name and may be willing to pay as much as X + Y or even more. While on the other hand an investor who seeks for some extra premium may be willing to accept as little as X or even less and the market makers along with sub-Libor funding rates, as well as the investors with above-Libor fund ingrates, will find the credit default swap even more promising and encouraging. Generally, pricing credit swaps is not that simple. As mentioned in the above discussion that the bond tenor may well be longer than the swap tenor, but at the same time in often cases the bond is not trading at par, or that coupon payments are fixed rather than floating. Furthermore, the price also depends on the specific terms of the swap agreement as well as the reference security. Moreover, regardless of the simplicity, it also demonstrates many things such as, risk neutral pricing theory both work and at the same time does not work in the credit markets. However, it gives a good bound for the price of the credit swap, but does not give a single price since the assumptions of risk neutral pricing do not apply, which include market completeness, liquidity and lack of transaction costs. Credit risk can be understood as the risk resulting from ambiguity in any counter party's ability or readiness to meet its contractual obligations, which can become visible in default risk, which is the risk of loss when the counter party does not succeed to meet its obligations when due along with the spread risk, which again is the risk where a change in an obligor's credit quality affects the value of a debt security and hence spread credit. This credit risk in the last decade has become the main concern to financial institutions as well as regulatory bodies, encouraged over the last years by the troublesome developments in Asia, Russia and South- America. As a result, portfolios of corporate bonds, loans and derivatives have gained great importance by the probing analysis and effective management of credit risks. The recovery rate meaning as to how much of the loan can be recovered if the borrower defaults, and The probability that the borrower will default while the loan is great. In representing default probabilities over time, transition matrices provide a particular role as they point out the probability that a loan or its issuer will migrate from one credit risk class to another, signifying an amelioration or deterioration of credit quality, leading in a natural way to the portfolio approach to credit risk analysis as credit quality moves across loans will then be connected in a larger or smaller degree. Moreover, by recognizing portfolio that effects, allows a proper quantification of the profit of loan diversification and the costs of portfolio concentrations, which then in these terms and respect the present BIS capital adequacy rules prove to be perverse, and remove both portfolio as well as market risk effects. While the new capital competence framework under designed leaves ample room for the application of internal ratings along with internal risk management systems. Credit Risk+ (by Credit Suisse Financial Products) and Credit Model (by Standard & Poor's). After the credit risk has been analyzed, the question rises as to how credit risk is incorporated in loan prices. Apart from credit risk in debt instruments, measuring credit risk in derivative instruments, such as swaps and forwards can be taken into consideration. It was at the end of 1990, that the concepts of the basket credit default options, credit swaps and total return swaps were developed by Bankers Trust. And it was since then that the market forced it derivatives which shown a fabulous growth, not in volume but also in the range of existing products. Thus, credit derivatives offered an organized and regular way of evaluating and transferring of credit risk. Other than some of the disadvantages of cash market transactions, banks and other financial institutions may be able to use credit derivatives in order to energetically manage their credit risk exposure to selected counter parties. Additionally, credit derivatives allow lenders as well as investors to attain credit exposures that otherwise are not accessible to them. Skora, Richard K. The Credit Default Swap. Skora & Company, Inc.
"Credit Swap." 10 July 2002. Web. 24 April 2019. 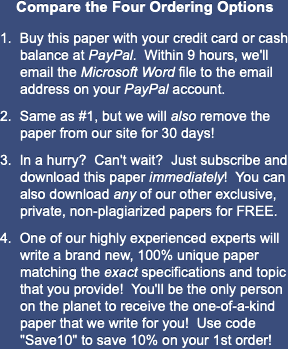 <https://www.essaytown.com/subjects/paper/credit-swap-known/2957781>. "Credit Swap." Essaytown.com. July 10, 2002. Accessed April 24, 2019.